Three Eisners for First Second titles in San Diego! At the San Diego Comic-Con last week, four First Second titles were nominated for Eisner Awards, the most prestigious awards for American comics. Aaron Steinke and Ariel Cohn’s THE ZOO BOX won the Eisner Award for Best Publication for Early Readers. 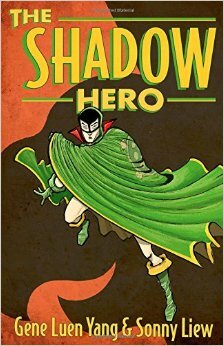 Gene Luen Yang won the Eisner Award for Best Writer, recognizing his work on THE SHADOW HERO. THIS ONE SUMMER by Mariko Tamaki and Jillian Tamaki won the Eisner Award for Best Graphic Novel! Congratulations to all the authors for their hard work — and to the editors and the Publisher for having the good taste to publish these books in the first place! Previous Post Bryan Konietzko’s new THREADWORLDS series to be published by First Second! Next Post THE SCULPTOR Is Back on the New York Times Bestsellers List!